This entry was posted in food, humor and tagged bananas, children, eating, family, food, humor, Parenting by Betsy Andrews Etchart. Bookmark the permalink. I love it! Gbot has it figured out! 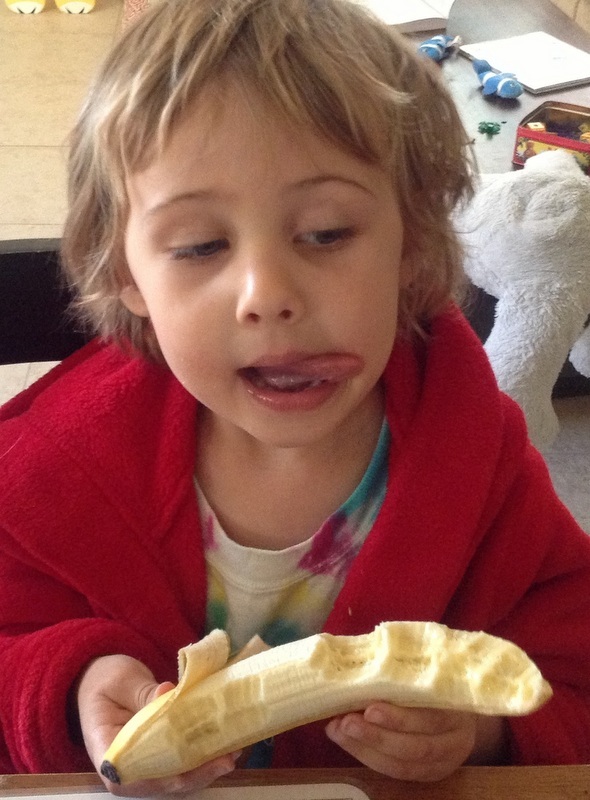 That’s EXACTLY how his Auntie S ate bananas–in her highchair even! Hi, Tammy–yes, he’s a true Arizona boy!